Although room was clean the floors needed attention. Most areas were sticky, perhaps soda or some similar stuff was spilled on the floors. We really enjoyed our stay! Everything was clean! Staff was friendly and breakfast was very good! Where to find Allentown hotels near an airport? How can I find hotels in different Allentown neighborhoods? Where can I find hotels in Allentown that are near tourist attractions? When the time comes to plan your Southeast Pennsylvania dream vacation, there is a generous assortment of comfortable hotel and apartment options in Allentown. You will find no less than 31 hotel options within a 0.1-kilometre (0.06-mile) radius of Allentown's downtown in our informative and up-to-date booking database. Travelers hoping to stay in a nice central location in Allentown, should check out the Holiday Inn Allentown Center City and Renaissance Allentown Hotel. Bethlehem is a neighborhood that is 8 kilometres (5 miles) from the heart of Allentown and has 17 Expedia-listed hotels. 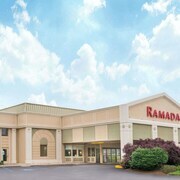 Some accommodation options in Bethlehem are the Sands Casino Resort Bethlehem and Courtyard by Marriott Bethlehem Lehigh Valley/I-78. Other accommodation neighborhoods include Easton and Quakertown. 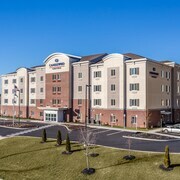 The TownePlace Suites by Marriott Bethlehem Easton and Hampton Inn Easton are in Easton, while Quakertown is where you'll find the SpringHill Suites by Marriott Quakertown and Hampton Inn Quakertown. 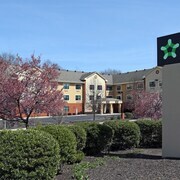 The Glasbern Inn and Hawthorn Suites by Wyndham Allentown-Fogelsville are in Fogelsville, and Holiday Inn I 78 Lehigh Valley and Hilton Garden Inn Allentown West are part of the Breinigsville area. If you have a limited budget and are simply after the more affordable Allentown accommodation options, there are also affordable hotels on offer in the area. 13 kilometres (8 miles) from Allentown's heart is where you'll find the Sleep Inn Allentown. 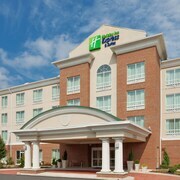 The Best Western Lehigh Valley Hotel & Conference Center is only 10 kilometres (6 miles) away. The Quality Inn and the Extended Stay America - Allentown - Bethlehem are two other budget places worth checking out. The Bear Creek Mountain Resort is situated 19 kilometres (12 miles) from the middle of Allentown. Or, alternatively, the Hotel Bethlehem, A Historic Hotel of America is 8 kilometres (5 miles) away. Two other hotel and apartment options worth checking out around Allentown are the The Sayre Mansion Inn and the Staybridge Suites Allentown Bethlehem Airport. Once you have explored Allentown, why don't you explore a bit more of the area? The Southeast Pennsylvania district has a number of scenic and cultural delights waiting to be explored. Southeast Pennsylvania is marked by rural landscapes and rolling hills. Popular Southeast Pennsylvania tourist destinations include traditional villages and history museums. Active visitors may also enjoy horse riding and cycling in this part of United States of America. 75 kilometres (48 miles) away from Allentown you will find Philadelphia, where you can spend a few hours exploring Independence Hall and Liberty Bell Center. The The Rittenhouse and The Logan Philadelphia, Curio Collection by Hilton are a few of the hotel and apartment alternatives in Philadelphia. Alternatively, you could consider staying at Center City, Philadelphia, 75 kilometres (48 miles) to the south of Allentown, where you'll find the The Ritz-Carlton, Philadelphia and Rittenhouse 1715, A Boutique Hotel. Regardless of whether you're passing through or spending a few nights in Center City, Philadelphia, a couple of sights worth adding to your itinerary are the Masonic Temple and Independence Visitor Center. 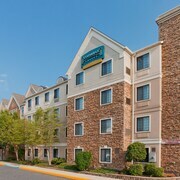 If you are planning on arriving or departing via Lehigh Valley International Airport, you may find it convenient to book a bed at Courtyard by Marriott Allentown Bethlehem/Lehigh Valley AP, or Residence Inn by Marriott Allentown Bethlehem/Lehigh Valley, which are both a short distance away. What are the most popular Allentown hotels? Are there hotels in other cities near Allentown? 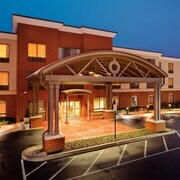 What other types of accommodations are available in Allentown? Explore Allentown with Expedia.ca’s Travel Guides to find the best flights, cars, holiday packages and more!